The walk up Glenevin Valley in County Donegal is treat enough, but wait until you see the waterfall! The route is easy and well signposted, leaving you free to enjoy the soft landscape. You criss-cross the stream, either by footbridge or, more excitingly, by stepping stones as you work your way up to this mossy marvel. The fall itself tumbles over black rocks, dropping nine metres (30 feet) into the foaming pool below. The foam inspired the pool’s name, pol-an-eas, which means ferment pool. At night, stick around to see if the dancing colours of the Northern Lights make an appearance over nearby Urris. In the shadow of mighty Ben Bulben in Sligo lies a little farm, and on that little farm live some of the smartest sheepdogs in the world. The Feeney family bought their first pup in 1977, and since then have claimed many awards. Visitors are welcome to watch the collies at work, moving the sheep around as dogs have for centuries. There’s lots of information on the different sheep breeds too, but the real joy is watching the harmony between dog and shepherd in this wild landscape. A climb up Knocknarea – allow two or three hours for the whole trip – will bring you to a scattering of Neolithic remains, including Queen Maeve’s cairn, a megalithic tomb 40 feet high. Some believe it contains a 5,000-year-old passage tomb; others believe it holds Queen Maeve, a mythical figure who allegedly died when her nephew felled her with a well-aimed chunk of cheese. Whatever the truth, this atmospheric spot is sacred, and more recently inspired Yeats, who called Knocknarea “the land of heart’s desire”. The peaceful Uggool Valley (it means eagle’s egg) was cut off from the outside world until the 1980s, when a road was built over Mweelrea mountain. Until then, the Bourke family had had to walk over the mountain or cross a beach treacherous with quicksand and riptides. Make an appointment (the Bourkes are working farmers) and the family will happily show you around. You can visit the famine village, eerily undisturbed, walk through the native woodlands and watch out for dolphins at play in Killary Harbour, a natural border between counties Mayo and Galway. 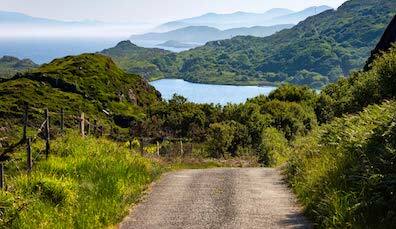 Clifden in Connemara is buzzing, but you'd be missing out if you didn't tear yourself away and travel the Sky Road. This 20km (12 mile) circular route is a lovely drive around the peninsula, but covering it on foot or by bike gives you even more time to savour its beauty. 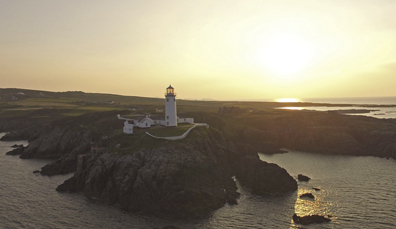 The views over Clifden Bay and the islands of Inishturk and Turbot, and back to the Twelve Bens, are breathtaking, and there are plenty of sandy beaches along the way to stop for a picnic, stroll or swim. One of the great pleasures of the Wild Atlantic Way is the food. Café Linnalla, just off the Flaggy Shore near the Burren, is a treat. The owners use milk and cream from their own cattle to make sensational smoothies, milkshakes and ice creams, flavoured with fruit grown all around, including elderberries and sea buckthorn – though there’s also traditional vanilla and chocolate. The selection changes with the seasons, as rhubarb, blackberries and hazelnuts ripen in their turn, and you can even design your own sundae. The remoteness of County Kerry is not just a marvel by day but also by night. At the Kerry International Dark-Sky Reserve, a stargazing guide will point out and explain the wonders of the Milky Way. The reserve has Gold Tier status, the only one in the northern hemisphere, and it deserves it. As the citation observed, “The night sky has captivated the people of Ireland for millennia”. That’s the truth: this land is, after all, filled with ancient stones aligned to the heavens. Right out on the Dingle peninsula, the Irish-speaking Dunquin is the westernmost village in Ireland (for the most westerly point of mainland Ireland, go on to nearby Dunmore Head). 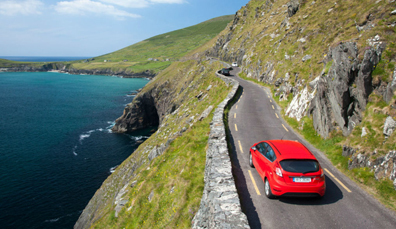 Take the winding path down to Dunquin Pier, which is the ferry crossing for the Blasket Islands, where people, goods and sheep were taken back and forth. The last islanders left at Christmas in 1953, but their lives were immortalised by author Peig Sayers. You can still take the ferry across, weather permitting. In 1910, Annan Bryce and his wife Violet bought Garinish Island (also called Ilnacullin, to distinguish it from Garinish Island in Kerry) to create a garden. Thanks to West Cork’s gentle micro-climate, plants thrive here that rarely survive this far north. Rhododendrons, azaleas and roses bloom, sheltered by strategically planted woodland. The Martello tower, Grecian temple and Italian tea house add structure and theme. The ferry goes from Glengarriff Harbour and stops on the way to watch the harbour seals on nearby Seal Island. On the Wild Atlantic Way it’s not just the heavens that twinkle after dark. Join a nighttime kayaking trip on Lough Hyne in County Cork at the right time of year, and the waters sparkle with bioluminescence – it almost looks as if you’re paddling through stars. The saltwater lake is small but deep, and its warm waters support a huge range of life, including the plankton that glows in the dark. Novices and confident kayakers alike are welcome to experience this world so far from daytime’s bustle. 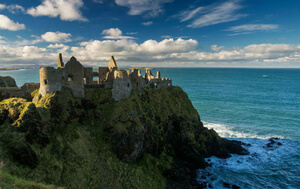 Make the most of your journey through the island of Ireland with our exciting trip ideas. Get ready for a sensational journey of soaring cliffs and buzzing towns, of hidden beaches and epic bays.